‘If I knew something useful to me, and harmful to my family, I would reject it from my mind’, the French Enlightenment philosophe Montesquieu famously wrote. ‘If I knew something useful to my family and not to my country, I would try to forget it. If I knew something useful to my country, and harmful to Europe, or useful to Europe and harmful to Mankind, I would look upon it as a crime’. Montesquieu’s sentiment expresses, for Anthony Pagden, the essence of the Enlightenment. In the belief that all humans ‘share a common identity and thus belong ultimately to a single global community – a “cosmopolis”’ lies, he suggests, the Enlightenment’s greatest legacy. The Enlightenment – And Why It Matters is both a history of the period and an argument for the importance of the cosmopolitan ideal. There is no period of history that has been more analysed, debated, celebrated and disparaged than the Enlightenment. Unlike, say, the Renaissance or the Reformation, the Enlightenment is not simply a historical moment but one through which debates about the contemporary world are played out. As the subtitle of the book suggests, Pagden, too, writes with one eye on current discussions about cosmopolitanism. Nationalists and multiculturalists, communitarians and postmodernists – the cosmopolitan ideal faces challenge from many quarters today, and Pagden’s book is in part an attempt to face down those challenges. But it is also a significant work in its own right. Pagden, professor of history and political theory at the University of California, pursues here an important argument about the Enlightenment and modern concepts of human nature. In his last book, Worlds at War, Pagden produced a dubious account of the ‘2,500-year struggle between East and West’. There are echoes here, too, of that ‘clash of civilizations’ sentiment, including in the conclusion a counterfactual history in which the Enlightenment never happened and Europe is eventually conquered by its ‘centuries-old antagonist to the east, the Ottoman Empire’. Thankfully, though, Pagden has reined in his tendency to wander down such questionable paths, and in this book the East-West arguments intrude little into the narrative. The Enlightenment, Pagden suggests, developed through a struggle with the ghosts of two Thomases – Aquinas and Hobbes. It was Thomas Aquinas, perhaps the greatest of Christian philosophers, who had, in the twelfth century, created a new foundation for moral and social thought by marrying Christian theology to Aristotelian philosophy. Morality and society could, for Aquinas, only be understood by acknowledging humans as God’s creatures, created by their very nature to be social beings. Scholasticism, as the later development of Thomist ideas came to be called, began to crumble in the seventeenth century. Who would sustain social and moral order if not God? This was now the urgent question. 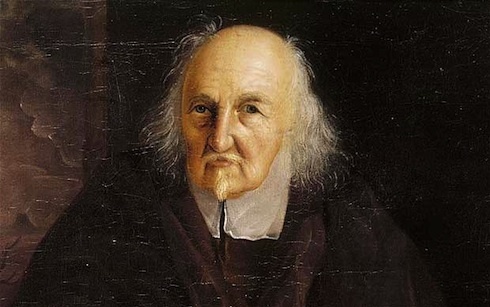 One of the first to provide an answer was the English philosopher Thomas Hobbes. Humans, Hobbes insisted, are innately not social but egotistical beings, driven solely by self-interest. In the state of nature humans, before the creation of society, were constantly at war. To find peace and protection, individuals established a ‘social contract’, handing over their liberty to a central power that had absolute authority to maintain social order. Fear, not cooperation, drove humans to establish society. And the society that Hobbes favoured was deeply authoritarian. It was the Enlightenment, the age of Reason, that, Pagden observes, ‘reversed the prolonged Western philosophical hostility towards feeling’. For the philosophes, Pagden insists, it was not reason or speech that defined humanity, but ‘the unique human ability to respond to the “sentiments”, the passions and the feelings of others’. The idea of sympathy, Pagden suggests, allowed philosophers to give ‘humankind an identity independent of God’ without embracing a Hobbesian view of human nature. The ‘shift from “selfishness” to “sentiment”, from the calculation of interests to the awareness that all humans were bound together by bonds of mutual recognition, became’, Pagden argues, ‘the basis on which a new conception of the social and political order of the entire world would eventually be based’. It provided a means of ‘recognizing all peoples as of equal worth, and of embracing some kind of common good, without endowing them with immortal souls’. The highest expression of this development lies, for Pagden, in Kant’s vision of ‘a society of the citizens of the world’, a vision that he sees as underpinning modern institutions such as the United Nations and the European Union. Both Pagden’s retelling of the Enlightenment story, and his defence of cosmopolitanism, are cogent and important. They also raise difficult questions, both about then and now. Was Hobbes’ account of human nature as marginal to subsequent thought as Pagden suggests? Was the idea of sentiment really the motor of Enlightenment cosmopolitanism? Are the UN and EU the best expressions of contemporary cosmopolitanism? Where does the question of democracy fit into this discussion? Over the past decade traditional accounts of the Enlightenment have been challenged by the historian Jonathan Israel in his outstanding trilogy Radical Enlightenment, Enlightenment Contested, and Democratic Enlightenment. Israel sees not Hobbes but the Dutch philosopher Baruch Spinoza as the key figure in establishing an alternative to scholasticism. There were, Israel insists, two Enlightenments, the mainstream and the Radical. 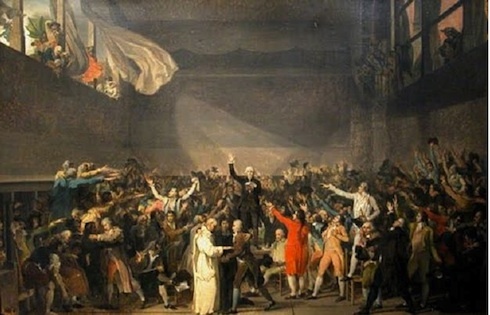 Most mainstream thinkers, such as Kant, Voltaire and Hume, accepted compromises with the old order, and were wary of pushing too far ideas of liberty and democracy. The Radical Enlightenment, on the other hand, drawing inspiration from Spinoza, ‘sought to sweep away existing structures entirely’, insisting that politics and morality had to be grounded on a ‘radical egalitarianism extending across all frontiers, class barriers and horizons’. Israel’s thesis is controversial and contested (I will publish soon an interview with him where we discuss some of these issues). But it raises important questions about both the historiography of the Enlightenment and contemporary ideas of cosmopolitanism, freedom and democracy. Pagden does not engage with Israel’s work, and one would not necessarily expect him to. Nevertheless, the different accounts reveal how the way that we frame the Enlightenment has significance well beyond history books. Enlightenment cosmopolitanism, Pagden suggests, was ‘profoundly aristocratic’ in the sense that it was promoted primarily by a ‘self-appointed elite’ which was often hostile to the ‘common passions’ of the people, fearful that democracy would become mob rule, and so more inclined to support ‘enlightened despotism’ than true democracy. Such views, Jonathan Israel would insist, belonged primarily to the mainstream Enlightenment. The Radicals, who had no such fears about democracy, are in Israel’s eyes, the true cosmopolitans. Pagden’s view of the EU as the modern embodiment of Enlightenment cosmopolitanism is, in the context of this debate, telling. There are few institutions that better express the ideals of aristocratic cosmopolitanism than the EU: a project driven primarily by the political elite to establish a form of top-down cosmopolitanism, and often pursued against the democratic wishes of the people of Europe, whose ‘common passions’ are viewed in many quarters with as much disdain now as they were in the eighteenth century. The contemporary debate about the EU pits a liberal Europeanism, through which is expressed, all too often, contempt for the electorate and an ambiguous view of the democratic process, against rightwing Euroscepticism, in which hostility to the European project is fuelled by nationalism and xenophobia. Were Spinoza or Diderot, or another thinker from the Radical Enlightenment tradition, present today, he would probably see himself as a democratic Europhile, as someone who wants to break down national barriers but to do it through popular support and the extension of democratic institutions. A contemporary debate between what are in effect aristocratic cosmopolitans, democratic cosmopolitans and xenophobic anti-cosmopolitans, a debate that in many ways echoes the eighteenth century conflict between the moderate Enlightenment, the Radical Enlightenment and the counter-Enlightenment, reveals the continuing relevance of not simply of the Enlightenment but also of the debates within it. The Enlightenment matters because, as both Pagden and Israel observe, it helped shape much of the political and moral foundations of the modern world. It matters also because the political and moral issues over which eighteenth century thinkers fought remain so often the political and moral issues over which we continue to tussle. 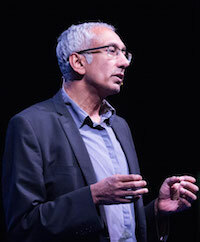 A shorter version of this review will be published in the Independent, 31 May 2013. But where does this ability come from? The historical economy of emotions and sentiments are arguably structured by reasoned doctrines. Human-made ideas lead us to ‘discover’ (and lose) various sentiments throughout time (e.g. acedia versus depression). I agree – we seem to find modern parallels for various enlightenment ideas. For example, Steven Pinker, as a long-time advocate of evolutionary psychology, takes a conservative stance toward humanity. It is therefore unsurprising that he is so fond of quoting Hobbes, whose pessimism about human nature caused him to justify the unrestrained rule of the monarch and the necessary suppression of free thought and speech. And just as Hobbes justified the status quo of his day, one could argue that Pinker does the same, in apparently endorsing an American-style system of government (which is not a democracy), and in his recent book ignoring or implicitly justifying American-initiated violence (a bias pointed out by Herman and Peterson). Nonetheless, his books have been received very well by the general public. Yes, there is a lot to be learned by revisiting the enlightenment discussions.